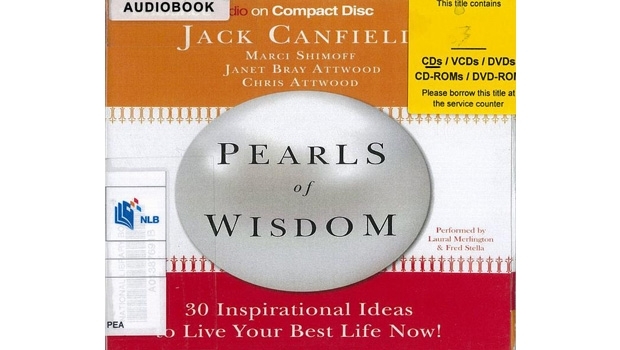 Audio Book Review: Pearls of Wisdom: 30 Inspirational Ideas to Live your Best Life Now! As the saying goes, “the world is your oyster” and in this context, how to produce a pearl from its own grains of sand is analogous to each individual chapter in this audiobook. Pearls of Wisdom collects insightful anecdotes from 30 self-help gurus. The gurus share their ideas and thoughts on the various facets of life such as mentorship and personal development, how to overcome challenges and living a fulfilling life. Among the contributing authors to this collection are the notable Jack Canfield; author of Chicken Soup for the Soul series, and Marci Shimoff; author of Happy for No Reason. The stories are both inspiring and engaging, something that one can ponder over and connect with. Authors: Jack Canfield, Marci Shimoff, Janet Attwood, Chris Attwood. Publisher: Grand Haven, Michigan: Brilliance Audio, c2012. Contributed by Sharon Ong, National Library Board (NLB). The cover is the copyright of the respective publishing company.